Visit us without even getting off the couch! Come on in, take a look around! Come on in and take a stroll around our shop! 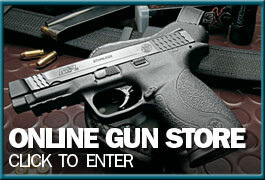 Look over our wide selection of handguns, long guns, ammunition, optics and knives, and wide assortment of accessories. You can even wander over to see our previously-owned section. We think you’ll want to come on down and visit us in person. We look forward to seeing you soon! Quality products, expertise, and friendly customer service are all packaged in a family friendly setting with fair pricing. 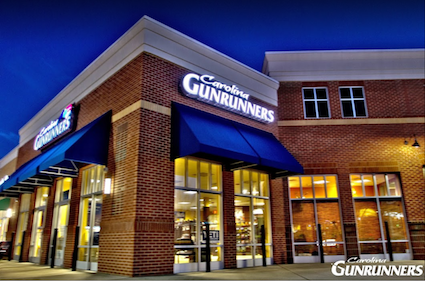 Whether you are a first time buyer, or a shooting enthusiast, Carolina Gunrunners is the ‘go to’ place to fulfill your firearms needs. We offer quality products, quick turnaround, and excellent customer service all within a family friendly environment. Want to know about new products and sales? Success! We're Happy to Have You!